Tuesday's announcement of the $499 Surface 3 marks the end of Windows RT, a confusing creation by the Redmond, Wash., software giant. By embracing Intel's chip architecture, the new Surface 3 has become more of a laptop-style device capable of running traditional Windows applications. 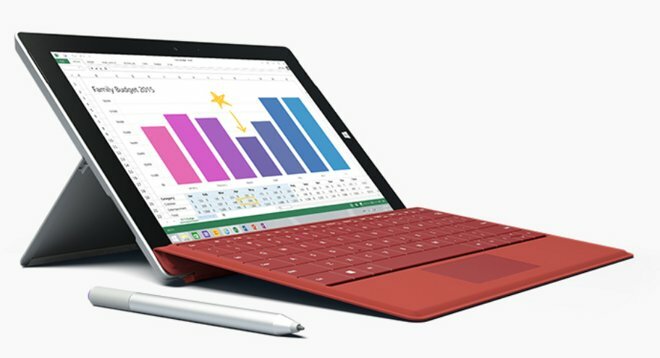 Priced the same as the iPad Air 2, the Surface 3 is still positioned as a competitor to Apple's market leading tablet. But with the latest revision, the company hopes that bringing in legacy Windows app support will help the device find traction. It also brings the Surface 3 in step with the Surface Pro series, which starts at $799 and has run Intel processors and full Windows since it first debuted. Microsoft has positioned its Surface Pro lineup, including the latest third-generation model, as a competitor to Apple's MacBook Air. The Surface 3 features a 10.8-inch display with a 3:2 aspect ratio. It also has an improved three-stage kickstand, but lacks the adjustable kickstand introduced on the Surface Pro 3. Microsoft says the new Atom processor provides users with 10 hours of video playback. The Surface's Type Covers have also been updated, including the magnetic snap feature found on the Pro 3 that helps make the device more sturdy when used on a lap. It also continues to offer a dedicated USB port for connecting accessories. And Microsoft is including a free one-year Office 365 Personal subscription. 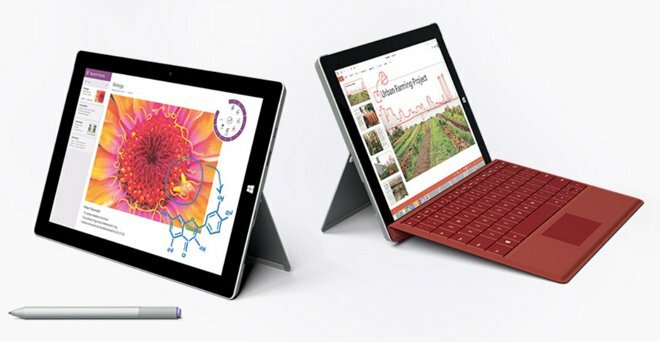 The Surface 3 also supports the same Microsoft-built Pen introduced with the Pro 3 model, allowing users to quickly take notes and gain additional features with the tablet-laptop hybrid. The base $499 model will come with 64 gigabytes of storage when it launches on May 5, but the Type Cover and Pen are sold separately, priced at $130 and $50 respectively.